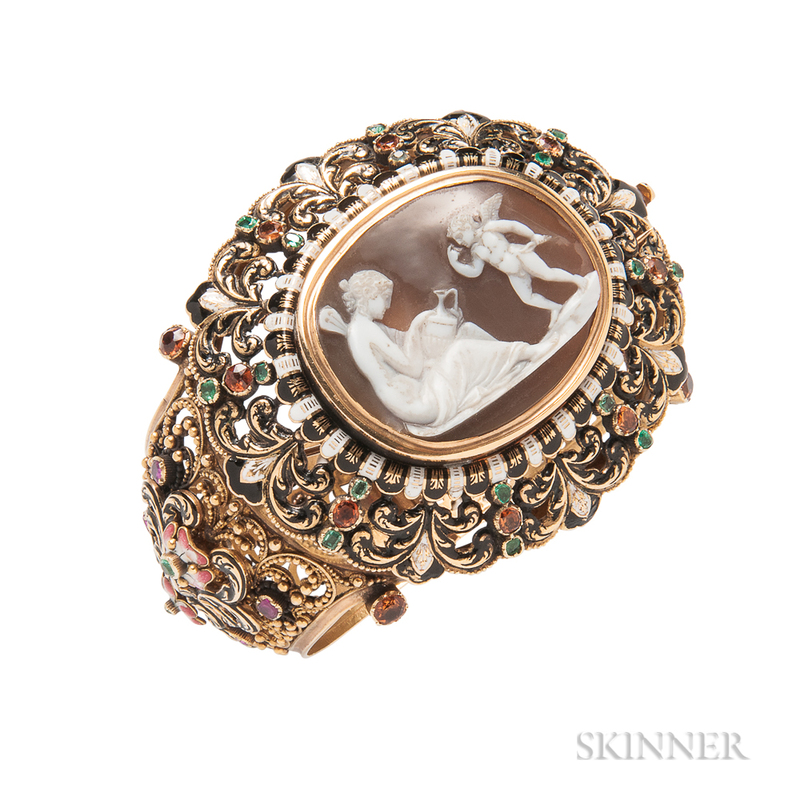 Renaissance Revival Gold, Hardstone Cameo, Enamel, and Gem-set Bracelet, mid-19th century, the large hinged bangle centering a cameo depicting Cupid and Psyche, framed by polychrome enamel scrolls, with bead and wirework, enamel flowers, and colored stones, the central element removable for brooch conversion, interior cir. 6 7/8, lg. 2 5/8 in.